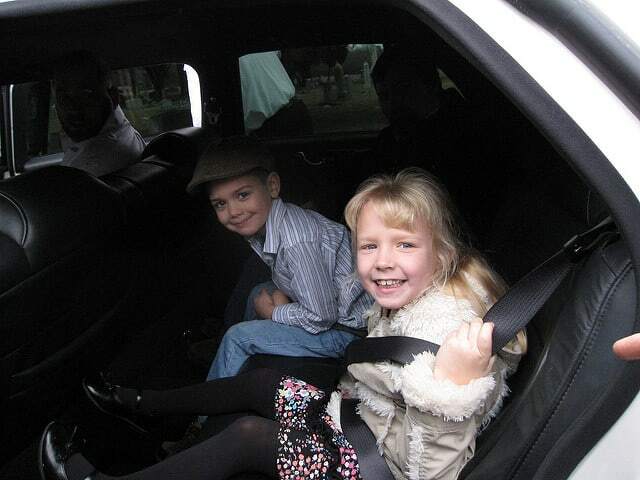 Blog > Do You Have to Use a Car Seat in a Limo? Do You Have to Use a Car Seat in a Limo? When traveling with a little one, it’s important to adhere to safety regulations to ensure their wellbeing. However, whether traveling for business or pleasure, the question stands: are car seats even necessary in a limousine? Even though federal and state laws all require children to be secured in a car seat or with a seat belt, the lines can become a bit hazy when taking vehicle size and class regulations into consideration. Limousines are part of the commercial vehicle class, and can therefore be exempt from this law, depending on which state they are in. The law may not require a car seat, but it may be for the best to use a car seat in a limousine anyway, despite the vehicle’s safety. It’s a similar scenario to seatbelts on busses. Although they aren’t legally required, wearing one might still increase safety. It’s normally best to err on the side of caution and prepare to use a car seat even if it isn’t mandated by law. A car service is most likely planned in advance, making it easy prepare for a car seat ahead of time. Some limo companies can provide their own car seats, so it’s worth inquiring about it beforehand. If not, most patrons will be allowed to bring their own car seat—whichever one is the right size for their child. Inside or outside of a limousine, it’s important to make sure that a car seat is the right fit for a child. Although it may seem like a hassle, it may be a matter of life or death. Also, keep in mind that the back seat, not the front seat, is always the safest place for a child, even in a stretch limousine. Thanks to Roger Mommaerts for the photo.